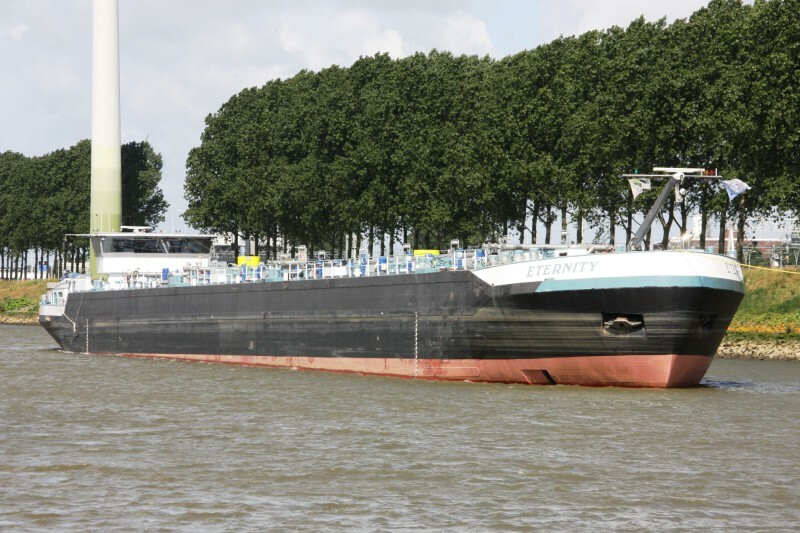 inland motor tanker ETERNITY near Rotterdam-Botlek, July 2nd., 2016. Year of build 2010. Flag: Luembourg - Port of registration Remich. LxBxD(d) = 110,00m x 11,45m x 4,40m (3,76m) - 3.130 T.
1 x Caterpillar 3512 (B) DI-TA electronic 1.193 kW (1.622 hp).